Great job! I live in Wyckoff, New Jersey, and I really enjoyed the service. It is not often you are treated like a customer should be treated these days. MY SERVICE / Aardvark Garage Doors and Locks replaced my garage door springs, which were adding strain on my motor. It could have resulted in a burned out motor which would have cost a lot of money. The new springs, and the tuneup on the door, make it seem like I have a brand new garage door. When it is time to replace them again, or get a new garage door, I know who to turn to. Thanks! 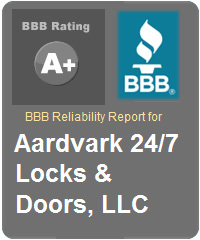 When looking for a unique, high quality, garage door, MY SERVICE / Aardvark 24/7 Lock and Doors is one of the best locations to shop, where commitment to making satisfied customers is a top priority. We carry a wide variety of top quality garage doors, including the finest built custom garage doors. When you call us for service we want you to know that your problem will be immediately addressed, and quickly taken care of. When looking for a quality installation of a garage door in Northern Jersey, MY SERVICE / Aardvark 24/7 Lock and Doors understands your expectations. We believes that you should have a garage door that will work every time you press that button. We know that it is important for your garage door to look nice, be in alignment, and be reliable for you on those cold winter days. Many garage door services don't offer the same great professional and passionate service that we do. We recognize that time is valuable, and we will do everything possible to put your garage door back into working condition as quickly as possible, rain or snow. If you are anticipating a garage door problem or your garage door just is not working properly,MY SERVICE / Aardvark 24/7 Lock and Doors is here for you. With our team of brilliant, well-trained, and professional service technicians, installers, and sales staff on your side you can rest assured that the job will be done right the first time. Our many years of experience can attest to that. We are ready to address your garage door problem as quickly and efficient as you would like, just listen to our customers.